In just one month my latest novel, Wanderer – Echoes of the Past, has sold 240 copies. That brings total sales of the Wanderer’s Odyssey series to a nice round 1425 copies. 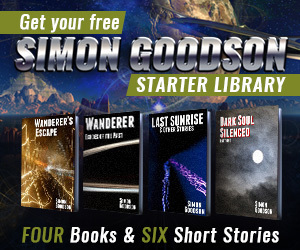 If you haven’t started reading the series then you will be able to pick up Wanderer’s Escape, the first in the series, for free from the 12th to the 16th September. And for those waiting for the third book in the series – it’s coming along nicely and has passed 30k words now. More updates will, of course, follow.